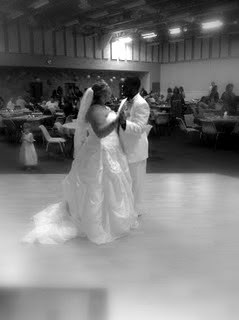 This past weekend I had the privilege of DJing for Antwan and Jana Mayes at the El Dorado Civic Center. While i've done many receptions there, i'm impressed everytime by how well the room is decorated. With a pink and white theme ranging from the table decor and cake and right down to the groomsmens vests, it was truly a grand sight. The guests were amazing and knew how to get down. Antwan and Jana, Thanks again for letting me be a part of your Big Day! Enjoy the cruise!